PUNE: Postpaid just got a lot more attractive for consumers. 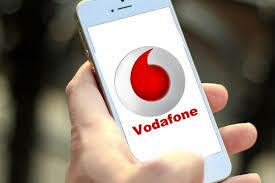 Vodafone India announced the launch of its new set of RED postpaid plans that packs in unprecedented telecom and value added benefits under three types of plans – RED Traveler, RED International and RED Signature. The New Vodafone postpaid plans under RED Traveler come with Free National Roaming and the guarantee that a consumer will never be charged for a call made from anywhere in India to anywhere in India. With Inbuilt Free data quotas up to 200GB and a Data roll over feature that allows consumers to carry forward unused data, Vodafone further guarantees that its postpaid consumers will never waste unused data. Free access to RED SHIELD, a handset protection feature that protects consumers’ handsets from theft and damage. In addition, RED Traveler, RED International and RED Signature – consumers will be able to bring together friends, family and devices under RED Together to get guaranteed savings up to 20% on total rentals and a host of other benefits. The new RED postpaid plans will be available to consumers on 8th November 2017. The new plans are presently not slated for launch in the following telecom circles – Andhra Pradesh, Madhya Pradesh, Bihar, Jammu & Kashmir and Himachal Pradesh. Speaking about the launch of the new Vodafone RED post-paid plans, Avneesh Khosla, Associate Director – Consumer Business, Vodafone India, said, “These plans have been structured to provide our customers with the best telecom & non telecom benefits that cater to the ever evolving needs of our customers.